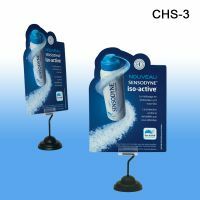 For use with carded type signs that are displayed on counter or table top retail store environments. 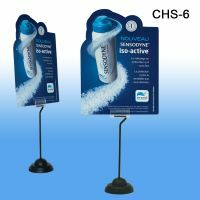 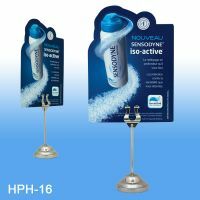 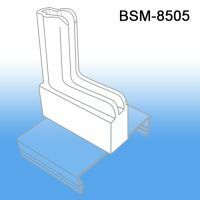 Sign holders come in many shapes and sizes, when you need adhesive backed card & sign holders, these products are a great store equipment addition.A few versions jst stand on shelf top without adhesive. 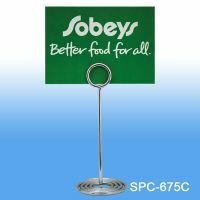 Other versions are used to violate an aisle and have flexible hinges so the sign being held doesn't get destroyed easily. 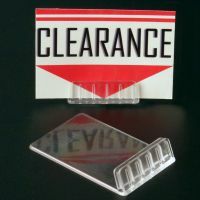 One of Clip Strip Corp.'s specialty areas is in countertop product display materials, browse our extensive product list where you will not only find these sign / card holders but so much more to help you talk effectively at the point of sale. 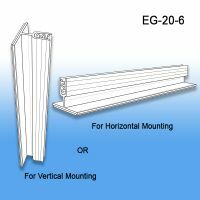 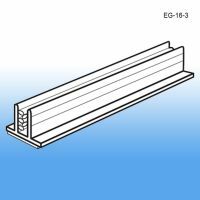 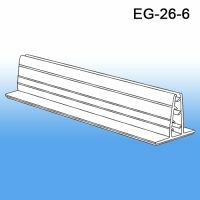 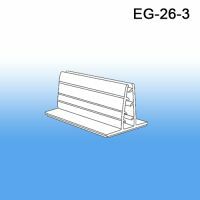 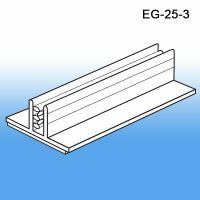 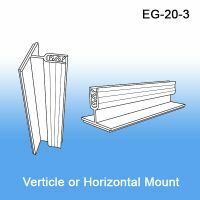 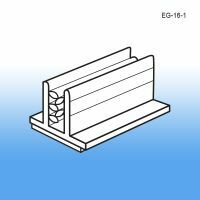 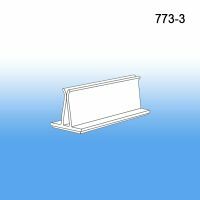 Retail Sign Holders come in many shapes and sizes, you are bound to find what you are looking for on our site! 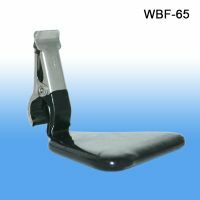 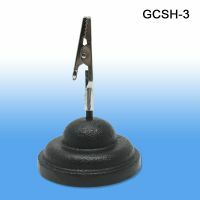 Minimum quantity for "Weighted Base Black Grip-Tite™ Sign Holder, 6.5" Tall, CHS-6" is 1. 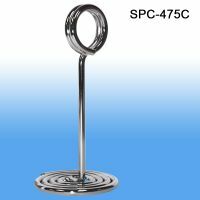 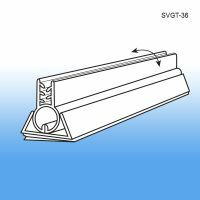 Minimum quantity for "Spiral Base Sign Holder, Chrome, 4" Stem, SPC-475C" is 1. 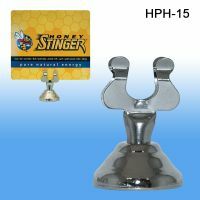 Minimum quantity for "Harp Clip Sign Holder, 1.5" Stem, HPH-15" is 1. 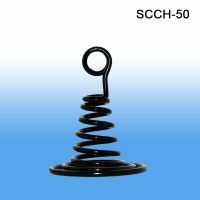 Minimum quantity for "Spiral Wire Cone Sign Holder, Black, 3" Tall, SCCH-50" is 1. 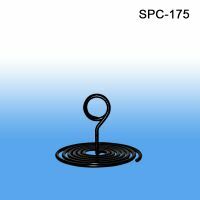 Minimum quantity for "Spiral Base Card Sign Holder, Black, 1.75" Tall, SPC-175" is 1. 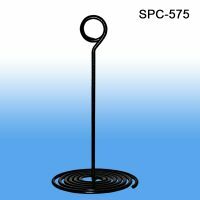 Minimum quantity for "Spiral Base Card Sign Holder, Black, 5" Tall, SPC-575" is 1. 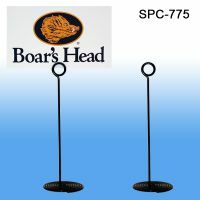 Minimum quantity for "Spiral Base Card Sign Holder, Black, 7" Tall, SPC-775" is 1. 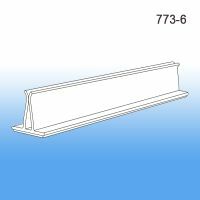 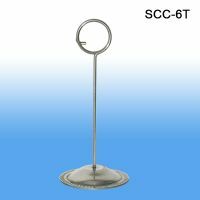 Minimum quantity for "Spiral Base Sign Holder, Chrome, 6" Stem, SPC-675C" is 1.